A gorgeous 2-piece vintage-inspired wedding gown. Full crochet lace crop top and high-waisted skirt. Wide v-neckline with unlined scalloped cap sleeves. Skirt stays fitted high over the hips to meet the top. A subtle train, altered to include a bustle. Very comfortable and flattering. 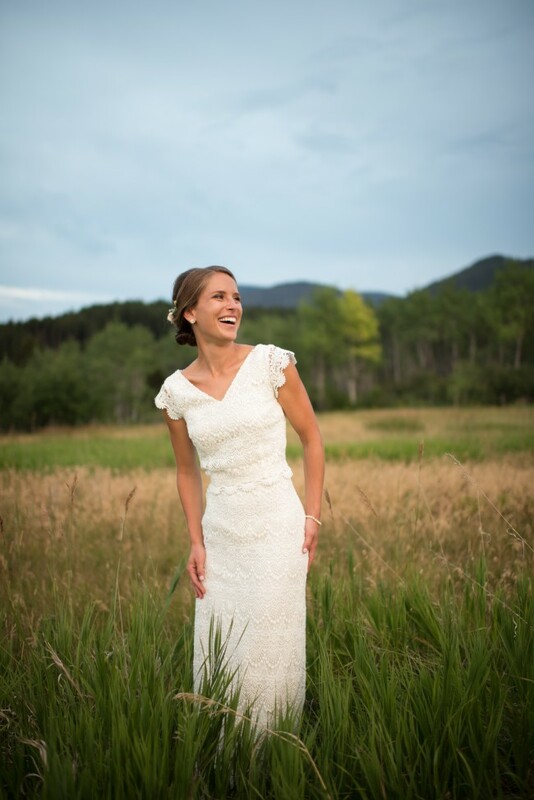 The dress was dry-cleaned right after the wedding and is in excellent, like-new condition. Once you send a message, Lydia can invite you to purchase the dress.